You can currently pay in British Pounds only on this website. We accept credit and debit card payments using Mastercard Data Cash, an industry leading payment solution so transactions are 100% secure. We do not store any of your card details on our systems. We accept Visa, Mastercard debit and credit cards, along with Visa, Mastercard and Maestro debit cards. If you have paid using a credit or debit card, payment will be authorised when you submit your order, but we won't take the funds from your card until we’re about to prepare your order for dispatch. We offer free delivery on all orders in the UK. 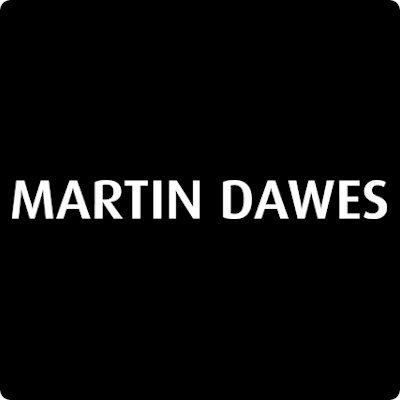 If you have specific delivery requirements or live outside the UK mainland, please contact us by E-mailing websales@martindawes.com and we will be happy to give you a quote. We will only ship products outside the UK in special circumstances. Please contact us with your specific requirements. The majority of our deliveries are made within 5 days of payment being received however for larger items 7 days is the standard delivery, if the products are in stock. White goods our delivery times are between 7 - 14 days. This will be advised on order. Delivery dates for out of stock items will be advised on order. Please note that we shall not be liable for any losses, costs, damages, charges or expenses caused by any delay in delivering goods. In the unlikely event that your product appears lost or is damaged in transit please contact us. If you order arrives damaged or incomplete please notify the courier on delivery and inform us within 24 hours. We will do our best to sort out the problem as quickly as possible. We constantly monitor prices to bring you the best value in electrical goods. We will also treat you as a individual and we pride ourselves on our high standard of service.